When you hear sustainability, you might think of hot topics like sustainable energy or sustainable fishing, but what does sustainability mean in the publishing industry? 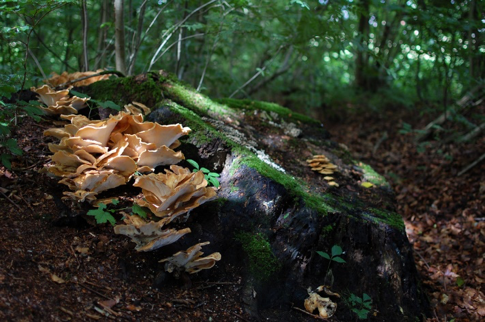 To fully understand sustainability in the publishing community, it is necessary to understand how publishing is not only culturally impactful but also environmentally impactful. Understanding these two factors will reveal the symbiotic relation between publisher and consumer, as well as their obligations to one another for a stronger, more supportive reading community. Culturally, publishing influences the books people read and the way those books are read. 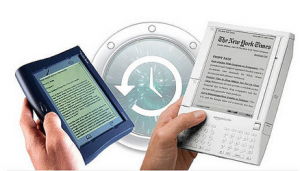 There has been an ongoing debate whether the rise of e-readers, tablets, and online publishing will eventually kill the print book. There seems to be a push from consumers towards technology, while publishers seem to focus more on print. In an interview with Jenn Webb from Tools of Change, Dennis Stovall from Portland State University remarks about the common publisher attitude towards e-books. “Every medium exists with constraints and opportunities, and the new frontiers of digital publishing have hardly been opened. Meanwhile, we’ve pushed many of the limits of the old technologies.” As technology shifts, so do people and the reading culture surrounding them. E-readers and online prints are gaining ground due to their accessibility and portability. For books to stay culturally relevant to a modern reading audience, publishers must embrace this cultural shift towards technology to create a stronger reading community. By now, I can hear at least one person screaming, “There’s nothing like the smell of a real book!” And you’re right, but environmental concerns loom over any industry whether it be mining, fishing, or agriculture. Publishing is no exception. Print books take their toll on the environment by using paper and ink. Sustainability in this aspect is concerned with a publisher’s ability to print books in an economical fashion while reducing the environmental strain of manufacturing books. And this side of sustainability is more of a concern for the consumer. To explain, let’s talk about recycling. Many publishers attempt to manufacture books with recycled paper, but the accessibility of recycled paper is limited. Jim Milliot from Publishers Weekly explains, “The biggest challenge unearthed by the study is the lack of availability of recycled paper. In 2014, the average amount of recycled content from reporting manufacturers was 12%, down from 22% in 2012.” Milliot then goes on to suggest the move towards is the cause for the lack of paper. This is where we, the consumers, hold responsibility. Single-stream recycling is good for many aspects, yet it is terrible for paper. Typically, paper becomes wet when it is collected for single-stream and becomes unusable for recycle. While single-stream recycling is more convenient than other methods, it greatly decreases the yield of paper products. This is why the reading community must make changes and recycle in different ways, such as dual-stream recycling. By using alternate recycling methods, consumers help recycled paper become more accessible to publishers, making print books more environmentally viable. For publishing to be truly culturally and environmentally sustainable, it must be an all-around effort from the publisher and consumer. This shouldn’t be difficult for either side, since we both love reading and understand its importance. 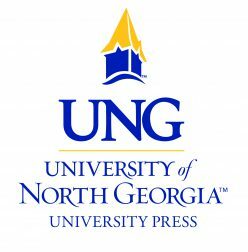 Here at the University of North Georgia Press, we strive to give students access to free downloadable textbooks to aid in the endeavor of sustainable publishing. Posted on August 24, 2018 August 20, 2018 Author JKVAUG5319Categories Industry InformationTags dual-stream recycling, paper recycling, recycling, recycling paper facts, renewable resources, sustainable publishingLeave a comment on How Sustainable are Books?